Scottish biker recently dived from the helicopter onto one of world’s tallest hotel in Dubai without any harness. A recent video of Scottish BMX rider, Kriss Kyle, 26, mounting onto the iconic Burj Al Arab hotel’s roof is taking the internet by storm. He successfully lands on the iconic Burj Al Arab hotel’s roof. 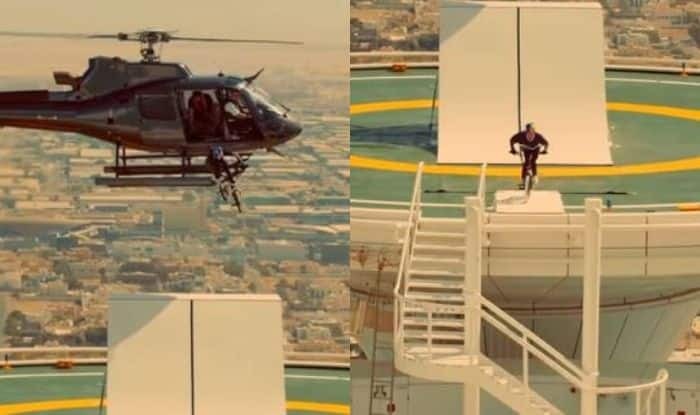 The video was shared by Red Bull where brake biker Kyle, can be seen perfectly landing on his bicycle after plunging from the chopper about 16 feet onto the ramp with just a helmet on and no harness.